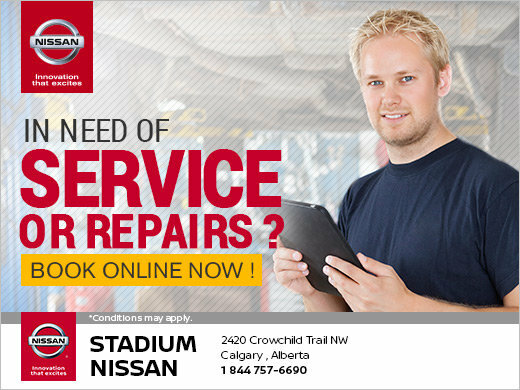 To keep your Nissan vehicle in the absolute best mechanical condition, bring it to Stadium Nissan. We offer top-notch quality that you can rely on. Come into Stadium Nissan for the professional service that your Nissan vehicle deserves. Bringing your vehicle to us for maintenance and repairs is the right decision because we understand that it has to run smoothly at all times. Your vehicle is a necessity, and that's why we will keep it running as efficiently as when you first purchased it.